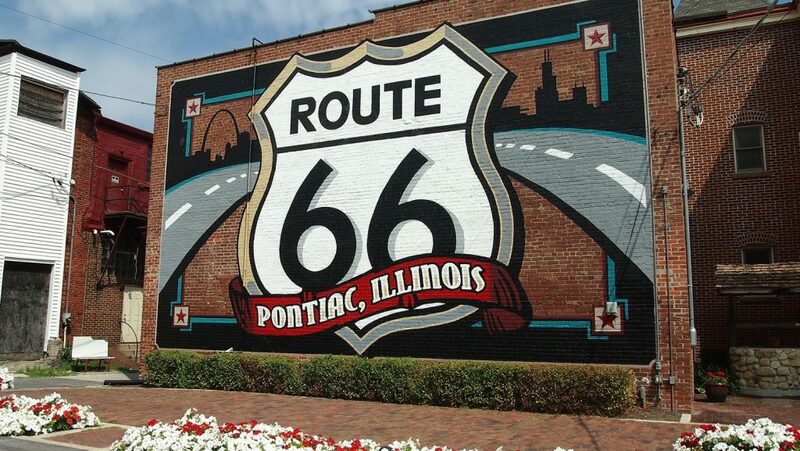 Route 66 runs about 300 miles across Illinois from Chicago to East St. Louis and was formerly a Native American Indian trail and stagecoach road called the Pontiac Trail. Because Illinois has so many remaining attractions from the highway, we’ll be covering the southern half of the state in this report. You can read about the northern section here. What better place to have a museum dedicated to Pontiacs (and Oakland) automobiles than in the town of Pontiac, Illinois? The Route 66 Hall of Fame and Museum also happens to be in town, located in a historic firehouse. It tells the story of the unique people and places along The Route that have been inducted into the Hall of Fame. And how’s this for unique: the old Illinois State Police district headquarters in Pontiac, erected in 1941, is built in the shape of a pistol! I can’t make this stuff up, folks! Here’s another little tidbit, making Pontiac one of my favorite quirky towns on Route 66: The Old Log Cabin Restaurant was built on an intersection the same year The Mother Road was christened. When Route 66 was realigned a few years later, the entire building was lifted and turned 180 degrees to face the new alignment. Proof of the economic importance of the highway we affectionately call America’s Main Street. 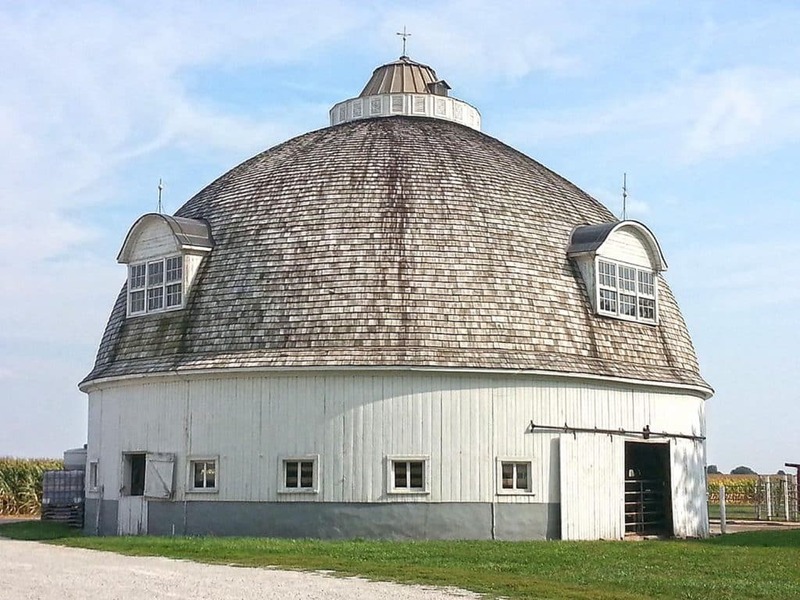 One other historical building to see before you leave town is Raymond Schulz Round Barn at 15221 N. 1500 E Road. It’s only a mile off The Route and well worth a visit to see a 1918 architectural wonder. The larger town of Normal had need of a more substantial service station, with not only gas pumps, but service bays and a restaurant, especially as Route 66 became more popular. 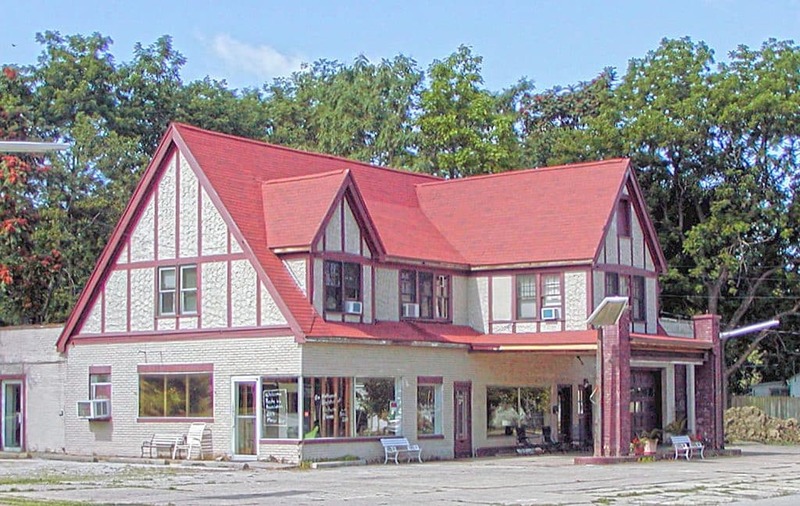 William Sprague built such an establishment in 1931, creating a Tudor style building in which to provide transportation-related services to the travelers along the new highway. Over the years, when the highway was realigned and bypassed Sprague’s Super Service, the building housed several other businesses. Today it is listed on the National Register of Historic Places and is preserved for this generation to get a glimpse of days gone by on the Mother Road. 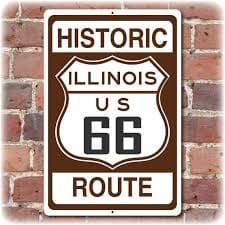 Follow Interstate 55 southwest to Atlanta, Illinois, where you can enjoy the menu at a Route 66 staple – Palms Grill Café at 110 SW Arch Street. 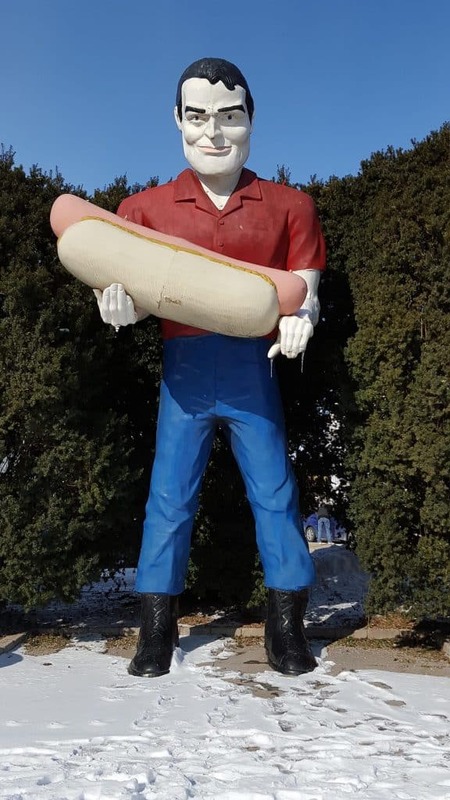 You won’t have any problems finding the restaurant – another “muffler man” stands just outside, holding an enormous hot dog. Don’t worry – you’ll be eating more enticing culinary delights inside. 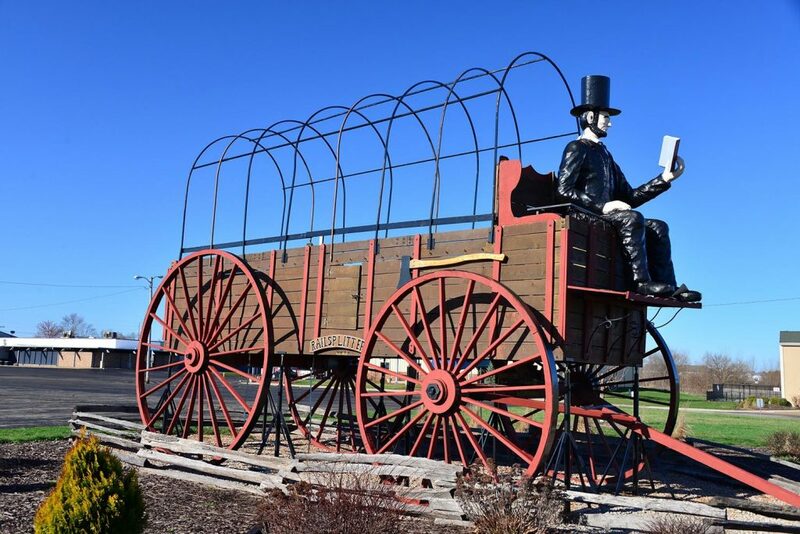 Well, Illinois is The Land of Lincoln, so I guess it’s only fitting that a town called Lincoln in this state should have the world’s largest covered wagon with Lincoln sitting front and center. This is definitely a kitschy photo opportunity, but what the heck! And it really is a HUGE covered wagon…located just a few miles south Atlanta, Illinois. As the capital city of Illinois, Springfield is known for many things, most of them having to do with our 16th president. But, remember that “muffler man” holding a hot dog back in Atlanta, Illinois? Well, Cozy Dogs in Springfield must be his ancestral home. It was here along Route 66 that the original corn dog was put on a stick back in 1949, and state fair food has never been the same. 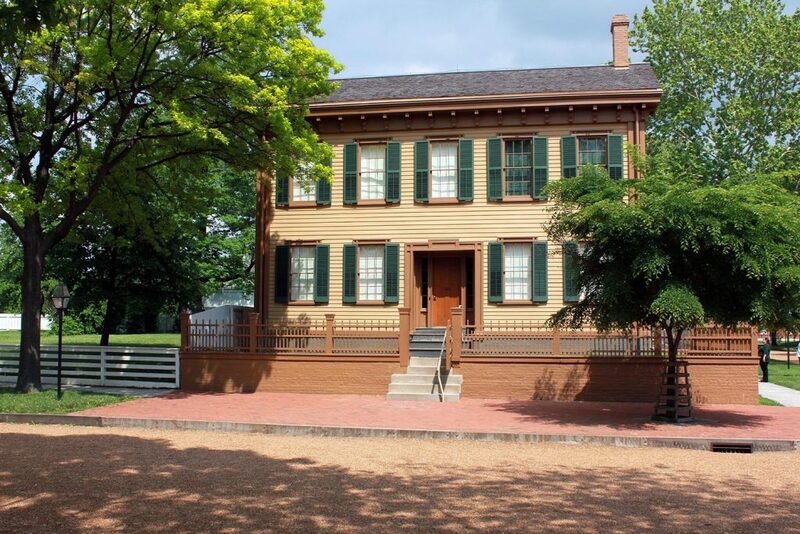 While you’re in Springfield, definitely stop at the Lincoln Home National Historic Site and Lincoln’s Tomb. You will get a sense of Honest Abe’s drive to keep our country together, and his love of the land and the law. The sites are not to be missed. We’re headed south out of Springfield to the small town of Litchfield. 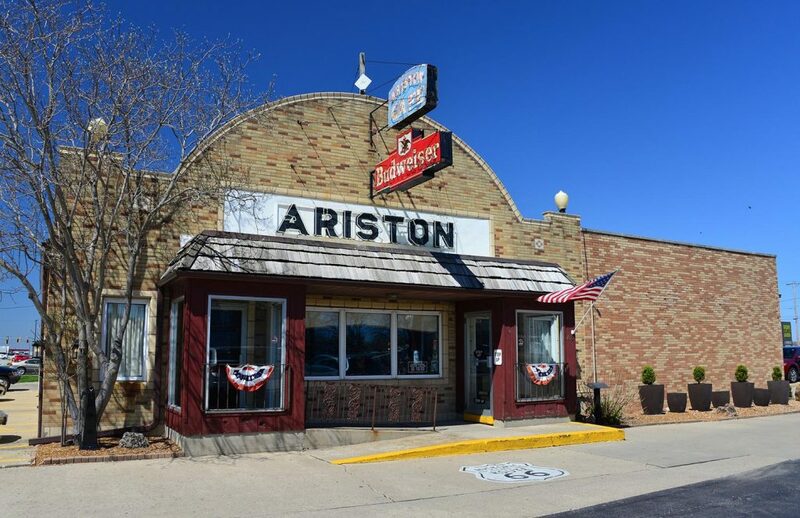 It’s home to one of the older restaurants along Route 66, the Ariston Café. Originally located in Carlinville, when the highway was realigned through Litchfield, the restaurant’s owner immediately moved his business to coincide with traffic from The Route. The café has remained open since 1935 at this location and is still run by the same family. The Belvedere Café and Motel was a flourishing business along Route 66 in Litchfield until the 1970s. It boasted a dance floor, music, and great food, along with a full-service station and several motel rooms. But with the addition of the interstate and the demise of The Route, the business dried up. Today the buildings are used for storage but are worth a stop on your road trip. 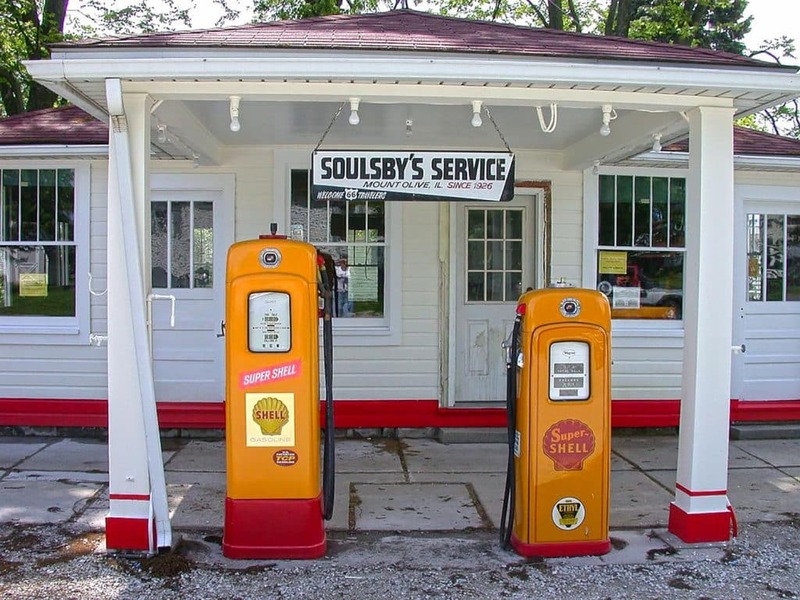 Our last stop along Route 66 in Illinois is at a marvelous service station that has been meticulously preserved in Mount Olive. The Soulsby Station was built by Henry Soulsby to blend in with its surroundings. 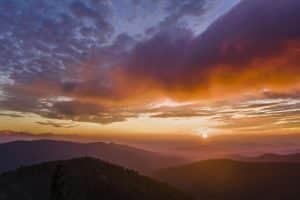 He sunk most of his savings into purchasing the plot of land along what was to become the Mother Road, realizing that his initial investment could become the breadwinner for years to come. He was right. Built in 1926, the Soulsby family kept the station in tip-top running shape until the last family member died in 1996. I’d say a seventy-year run was a pretty good return on Henry’s investment. Today the station looks as it did in the first days following World War II when Route 66 became an escape for many to follow jobs to California or experience the allure of the open road. 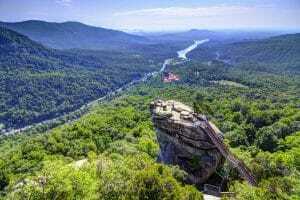 You’ve completed traveling the first of eight states that make up an endearing piece of Americana. Route 66 seems to carry our dreams along its pavement, and you can continue to follow its every curve and straightaway below. 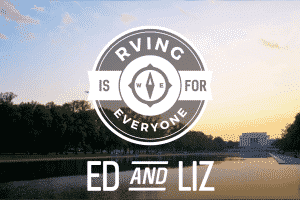 Just pick another state and start planning your escape. 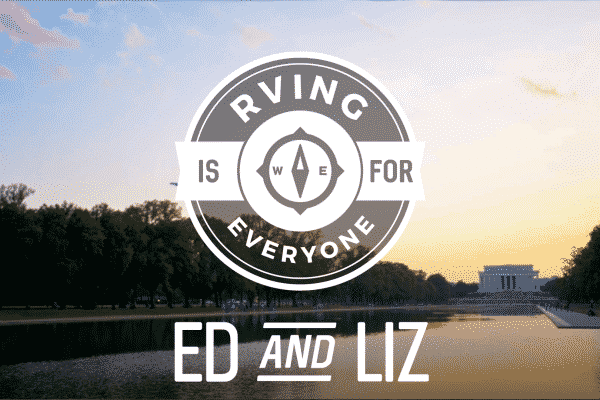 In the meantime, why not find your own adventure along the Mother Road in a motorhome or travel trailer from Camping World?